During the last 10 years, Bieffe has specialised in horizontal filing systems for answering the needs of the Industry, Museums and Government Offices. Our team remains at your disposal for the realization of specific projects. Our head office is located in France, a few miles away from Charles De Gaulle Airport, where we maintain a full Show-Room facility complete with free planning service and marketing department which handles worldwide sales. Our planchests are made in three parts : the base, the drawer section and the top. The drawer sections can be stacked but the uppermost section still require a top. The optional base can be a fixed plinth or a wheeled base to provide mobility. 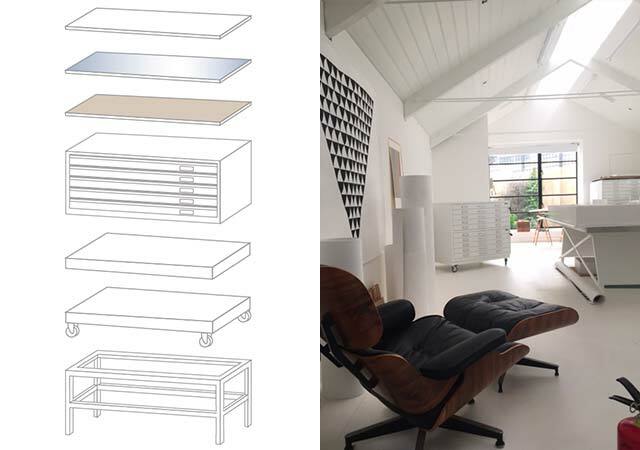 The drawer sections are available in 5, 7 or 10 drawer options which may be combined to provide many interesting drawer arrangements. 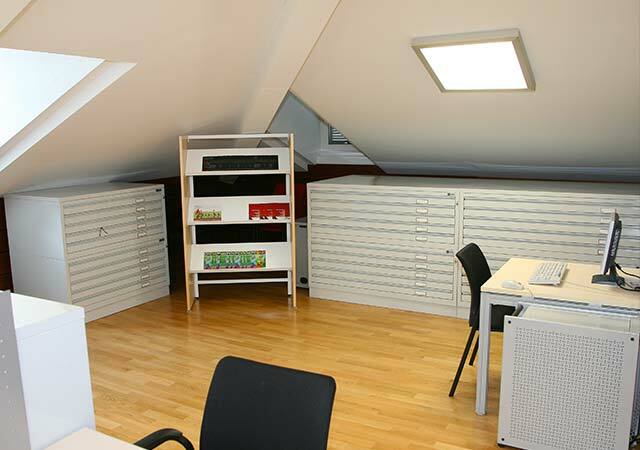 In addition, the drawers within the section are available in a variety of heights thus furthering the options available. Drawer fronts may be sloped, straight or drop with magnetic catch and with an integrated full width handle or with the well known Bieffe chrome pull handle. Drawers are fitted with steel drawer runners with ball bearings with a stop and have an anti curl strip at the rear of the drawer. Standard drawer opening is 66% with an option of 100% on request and a maximum loading of 35 Kgs per drawer. All drawer sections are fitted with a lock with a master key available. Drawers can be fitted with an anti tilt system which prevents more than one drawer per section being opened. Bieffe planchests and cabinets are certified ISO 9000 – ISO 9001 and comply with current environmental regulations. 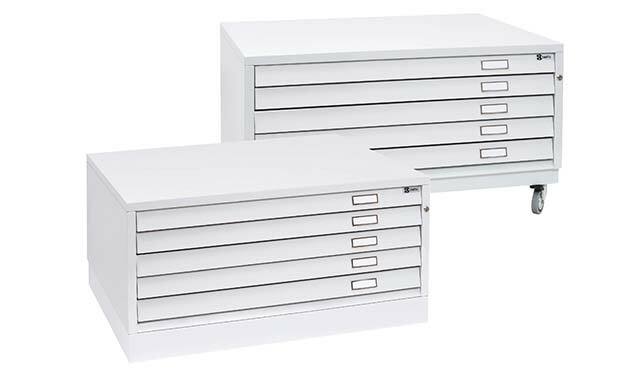 Bieffe planchests are guaranteed for 5 years normal office use.